Heat a good amount of vegetable oil in a large skillet over medium high heat. Mix a little salt into the flour and divide between two plates. Dry the tofu cubes gently with paper towels. Toss carefully in flour and then toss in the beaten egg. Toss again with flour on the second plate and drop into the hot oil. Fry until lightly golden on one side and carefully shake the pan to turn them or flip them with a spatula. While they cook, pour the wing sauce into a large bowl. When the tofu is golden all around, immediately transfer into the wing sauce and toss to coat. Store in the fridge for the week. Heat a splash of oil in a skillet over medium heat. Add the shallots and cook for 2 to 3 minutes or until translucent. Add the garlic and cook for 1 minute. Add the tomatoes and break them apart with a wooden spoon or squish down on them with a potato masher. Add the herbs and a sprinkle of salt. Stir and bring to a boil; reduce heat to low and cook 15 more minutes. Store in the fridge for the week. Heat a splash of oil in a cast iron skillet or non stick skillet. Add the chicken sausage and cook until lightly browned on each side. Store in the fridge for the week. This is for one batch of popsicles because most molds only make 4 pops. If you have more than 4, you can always just make them all at once or remake them every couple of days. 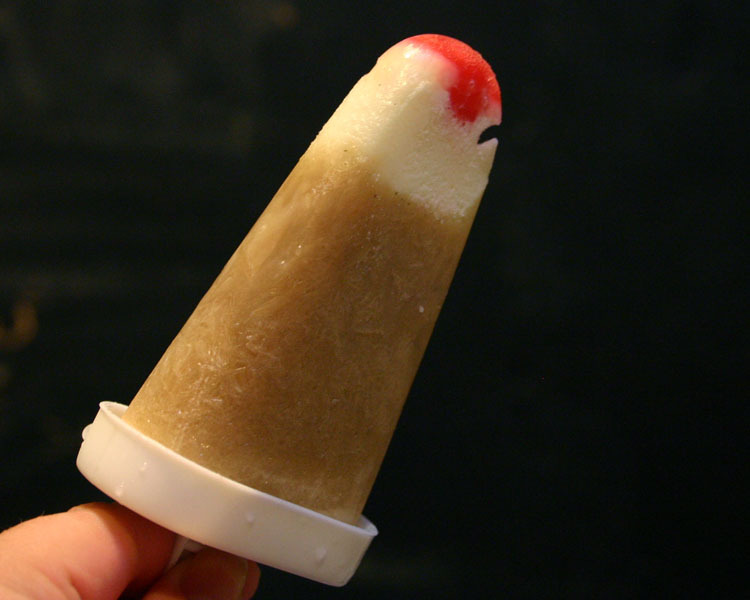 Squish a cherry into the bottom of each pop mold. Squish about a teaspoon of frozen yogurt on top of and around the cherries. Mix the root beer and 1/2 cup frozen yogurt together until well blended. Pour into the molds over the frozen yogurt and cherry. Freeze until firm. Sprinkle tomato slices with salt and pepper. Stack tomatoes and basil on the bottoms of the English muffins. Drizzle with a little olive oil if you’d like. Heat cooking spray in a non-stick skillet over medium heat. Crack both eggs into the pan and cook about 1 minute on each side or until cooked how you like them. Salt and pepper each. 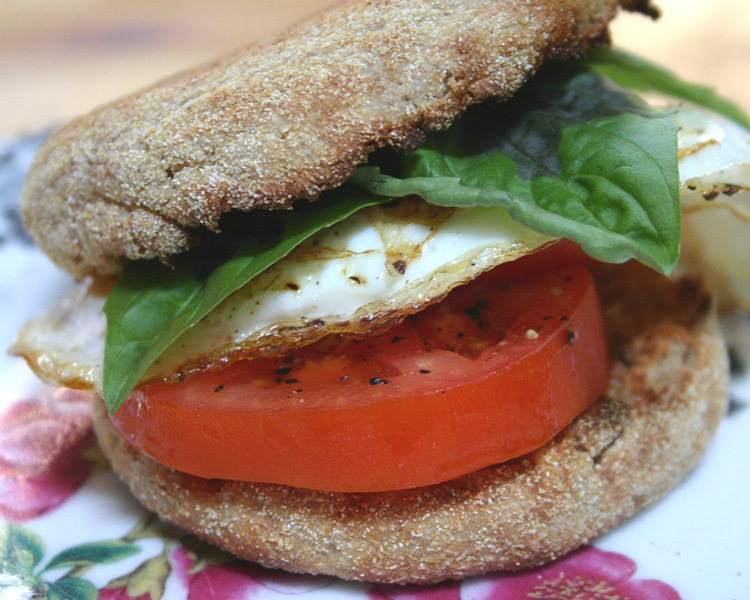 Use a spatula to slide each egg on top of the tomato and basil. Top off with the other muffin halves and eat! 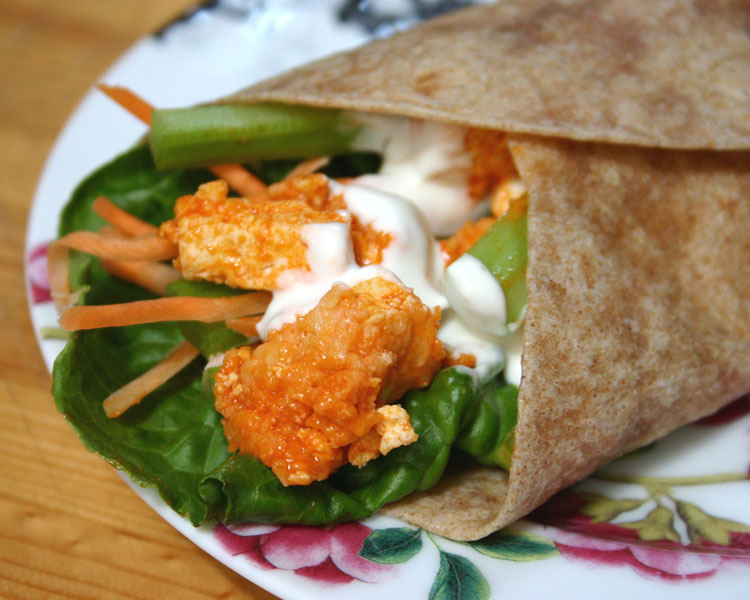 Divide everything between the wraps and drizzle with the dressing. Wrap it up and eat! Preheat oven to 450. Sprinkle some flour or cornmeal onto a cookie sheet. Work the dough into a large thin round and place onto the cookie sheet. Top with a little sauce, sprinkle with mozzarella. 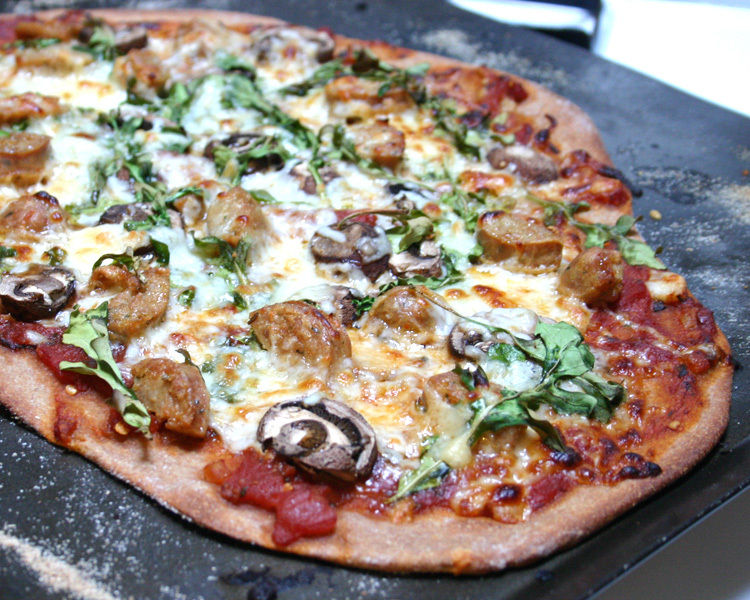 Top with sausage, arugula and sliced mushrooms. Bake for about 10 minutes or until bubbly. You seriously keep outdoing yourself, Delia. These ALL look amazing! I can’t wait to make the tofu wraps. YUM. And PS – I think everything, especially pizza, needs arugula! Thanks ladies! The tofu wrap is seriously GREAT! I realized as I was eating it that I don’t actually NEED the chicken part of the “wing experience”…what I love is the sauce combined with the blue cheese and the crunch of carrots and celery. YUM.